Glioblastomas are, in spite of intensive treatment using surgery, radiotherapy and chemotherapy, incurable. However a recently discovered mechanism could offer a new drug target. This is because tumour growth is accelerated by two mutually reinforcing genes. The glioblastoma is one of the most malignant cancers and, due to its poor prognosis, is classified by the World Health Organisation (WHO) as grade IV. It originates when astrocytes and their precursor cells, the neural stem cells, proliferate abnormally. Glioblastomas belong to the astrocytoma group, which in turn belong to the glioma group. The treatment of glioblastomas has until now been unsatisfactory, since radiation and chemotherapy are often ineffective and from a surgical perspective it is difficult to remove the tumour because it grows quickly and invasively into adjacent healthy tissue. Should only one single brain tumour stem cell remain after an operation in the brain, this cell can reform a glioblastoma all over again. Therefore, the average survival time following diagnosis amounts to just 15 months. Only 16 percent of those affected survive the first three years after diagnosis – physicians refer to these in terms of being long-term survivors. It is already known that many tumours exhibit a mutation in the receptor for an epidermal growth factor given the name EGFRvIII. These are active receptors which in the absence of epidermal growth factor (EGF) cause the phosphorylation and thus activation of the transcription factors STAT3 (abbreviation for Signal Transducers and Activators of Transcription). This protein in the absence of EGFRvIII inhibits tumour growth. However if EGFRvIII is formed, STAT3 changes its effect and becomes potentially carcinogenic. The mechanism through which STAT3 converts glial cells into cancer cells, and why brain tumour stem cells behave viciously via the activation of EGFR, is unclear. Now a group led by Arezu Jahani-Asl [Paywall] from McGill University in Montreal, Canada, has shown that EGFRvIII is not solely responsible for the glioblastoma growth. Responsibility is also shared by a further defect in the gene for so-called oncostatin M receptor (OSMR). In conducting their study, the scientists examined about 340 tumour samples taken from patients with glioblastoma and deposited in the Cancer Genome Atlas (TCGA) and the REMBRANDT database. It turned out that the higher the concentration of STAT3 and OSMR was, the sooner the patients died. A similar result was obtained by the scientists even when they took factors such as patient age and tumour grade into account, or if a IDH1 mutation was present. The abbreviation “IDH1” stands for the enzyme isocitrate dehydrogenase 1. In gliomas a transcription error often occurs in the DNA, the result being that a protein building block at position 132 of IDH1 gets substituted. Next, the scientists tried to elucidate the underlying mechanism. Various tests have shown that OSMR and EGFRvIII occur together to form a coreceptor. The OSM receptor’s ligand, oncostatin-M, starts the phosphorylation of the EGFR, which in turn leads to an EGFRvIII-OSMR interaction. When scientists blocked phosphorylation of EGFRvIII, the interaction of the two receptors and the activation of the transcription factor STAT3 were also compromised. In another experiment, the group turned off the OSMR expression of the cells, whereby the concentration of carcinogenic EGFRvIII also dropped. All this suggests that OSMR and EGFRvIII form a common receptor and also possess a common repertoire of target genes. To determine the effect of OSMR on tumour growth, the researchers injected six week old immunodeficient mice with “mouse astrocytes”, which only expressed little OSMR, under the skin. 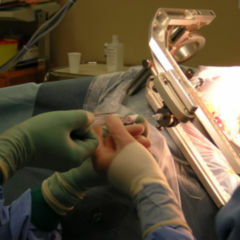 Two to three weeks later all mice in the control group were suffering ulcerated tumours. In addition, the animals had lost more than 20 percent of their body weight. In another experiment, mice were given human brain tumour stem cells with low OSMR expression. Compared to the control group, the tumour growth of OSMR knockdown mice was reduced by 80 percent. In the next experiment, the researchers administered the cells to the animals directly into the skull. The control group received “mouse astrocytes” which expressed EGFRvIII and the experimental group received “mouse astrocytes” which expressed EGFRvIII and in which OSMR had been switched off. Whereas with the control animals highly malignant brain tumours formed, the researchers found no tumour in the OSMR knockdown mice. Claims about having found a potential new drug target are being made by a group led by Frank Winkler [Paywall] at the Neurological University Clinic of Heidelberg and the German Cancer Research Centre. 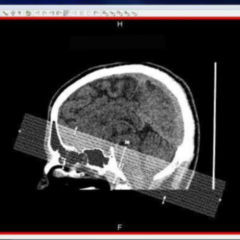 According to the researchers, astrocytoma cells form what are long, thin membrane tubes. 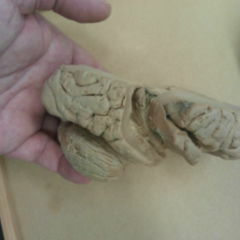 “Our first thought was: It looks like the formation of a brain within the existing brain”, says Frank Winkler. “The tumour cells were strongly linked to each other, in a way that we know to occur with the nerve cells in the brain”. With these extensions, the cancer cells penetrate the healthy brain, probe and colonise it. 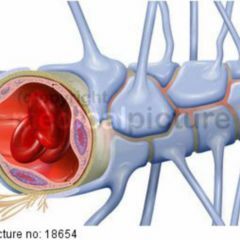 If the tumour grows, the cells connect using the membrane tubes into a large network, through which they can communicate intensively over long distances. In addition, the scientists discovered that the tumour was all the more nasty the more networked the astrocytoma cells were. In order to serve its network, the cancer cells reemployed certain molecular pathways that are normally involved in the early development of the nervous system. When these signalling pathways were blocked in animal testing, the network decreased sharply and the animals responded sharply to radiotherapy. “The resistance of astrocytomas, in particular glioblastomas, to all forms of treatment is a major problem. Our results for the first time show us a long-sought after new approach to crack this resistance, in order to better treat tumours in the future”, says Wolfgang Wick, head of the Clinical Cooperation Unit and the Department of Neurology, University of Heidelberg (Germany). “Being able to fully stop tumour formation was a surprising and impressive outcome”, says Dr. Rudnicki, one of the authors of the study. “It means that this protein is the determinant piece in the puzzle and could be a potential target for future treatment”. In addition to glioblastoma patients, people with other EGFR-forming cancers such as breast, lung and cervical cancer could profit from the knowledge that EGFRvIII first needs to bind to OSMR before it can send signals for tumour formation. Next, the scientists plan to look for small molecules or antibodies which block the OSMR protein or prevent it from interacting with EGFR. Some years will pass before a medical treatment has been developed and before it can be used on humans.